A modern twist on the industrial enamel light shades, these dome light shades provide a great unique look. Made from very heavy grade steel with a hard wearing enamel coating. 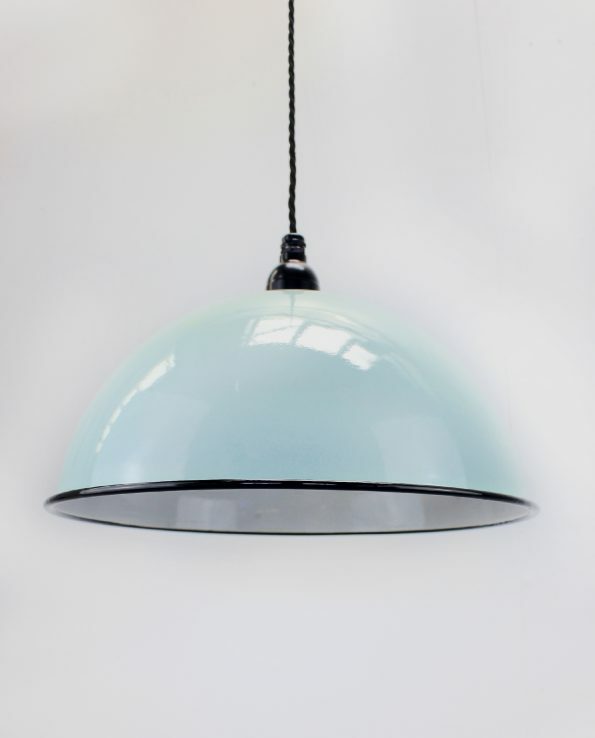 Available in mint green and duck egg blue. Both colours have black trim and white inner. Comes complete with steel lamp holder of your choice as per the photos. 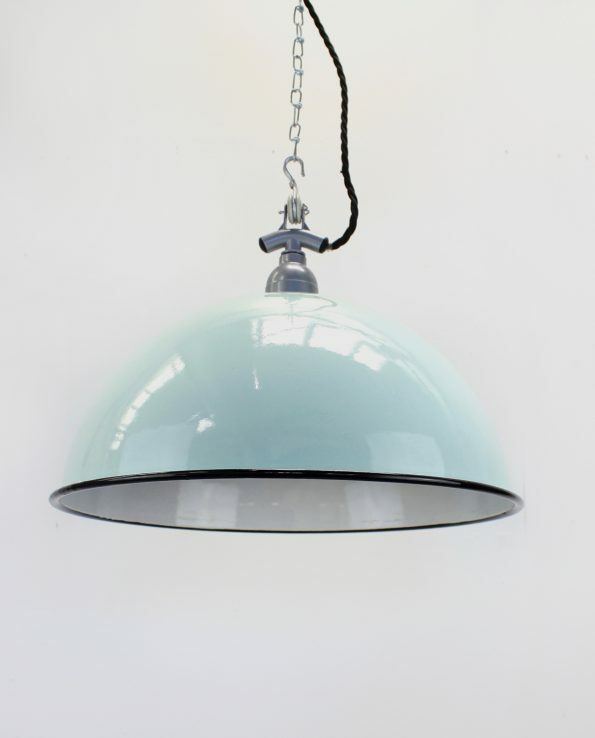 Also available with our modern lamp holders in Chrome, Brass, Black or Vintage Black. 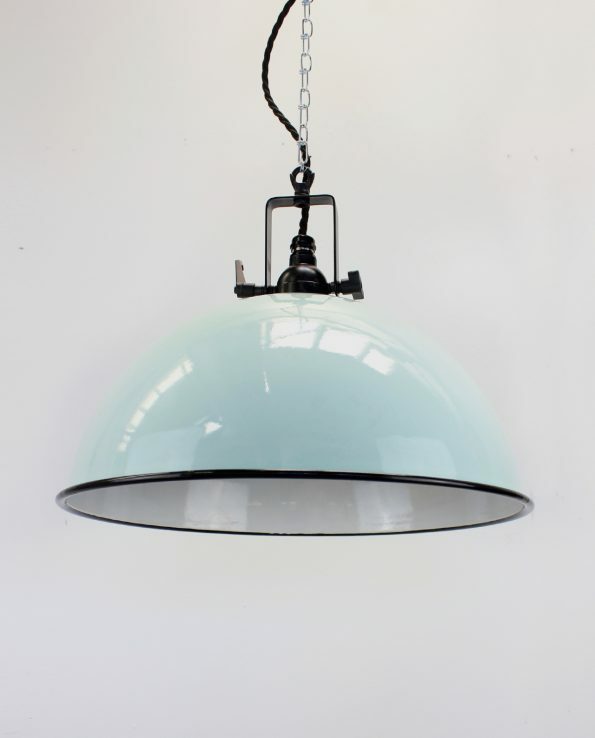 A modern twist on the industrial enamel light shades, these dome light shades provide a great unique look. Made from very heavy grade steel with a hard wearing enamel coating. 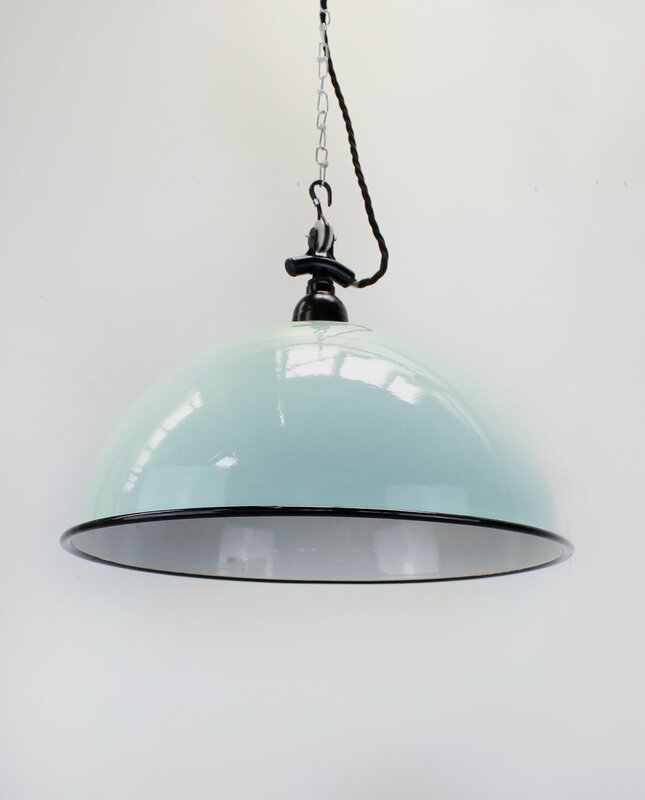 Available in a mint green and duck egg blue. Both colours have black trim and white inner. The vitreous enamel shade is manufactured in the traditional style using traditional moulds. Each shade has slight imperfections that give each piece a unique look and add a touch of vintage authenticity. Comes complete with steel lampholder and chain hook fitting. The chain and fabric coated cable are not included but can be purchased from us separately. The included ceramic fitting will take a standard Edison screw bulb up to 60 Watts and complies to NZ electrical standards. We also stock ceiling roses, fabric cable, chain, and Filament lightbulbs. We import directly from the manufacturer to ensure we can offer the lowest prices and maintain control of product authenticity.